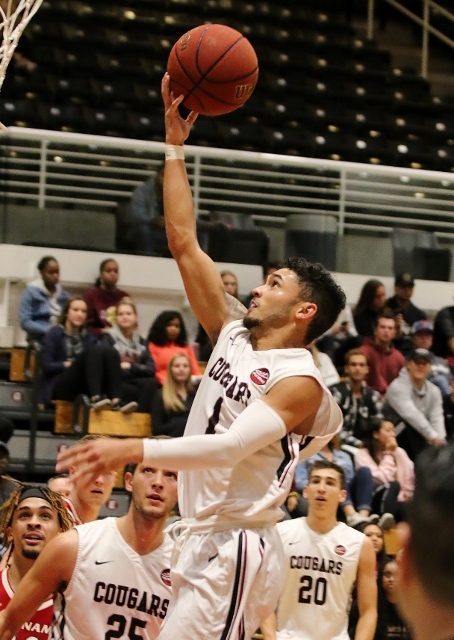 (Glendora) – Azusa Pacific used a 14-0 run in the second half to break it open and went on to beat Holy Names 65-46 Thursday night at Felix Event Center. The Cougars gave up the first six points of the game and trailed by nine early at 14-5 as they struggled out of the gate. But they went on a 14-2 run to take a 30-22 lead with just over minute left in the first half and took a 30-24 lead into the break. Azusa Pacific still led 37-32 early in the second half before scoring 14 straight to pull away at 51-32. There was still 11:20 left in the second half but the Cougars were able to cruise home from there. The Cougars had just two players in double figures. Terrance Becvar, who had two big three pointers in the second half run, led the way with 13 points. Becvar was three for three from long distance overall. Senior point guard Darien McClain was five for eight from the field and finished with 11. Tyson Kanseyo did some damage inside with eight points and 15 rebounds and Gerritt Beetstra also had eight points including two from beyond the arc. For Holy Names Jewels Sanders topped the scoring column with 15 points but no other player was in double figures. Neither team lit it up from the field. 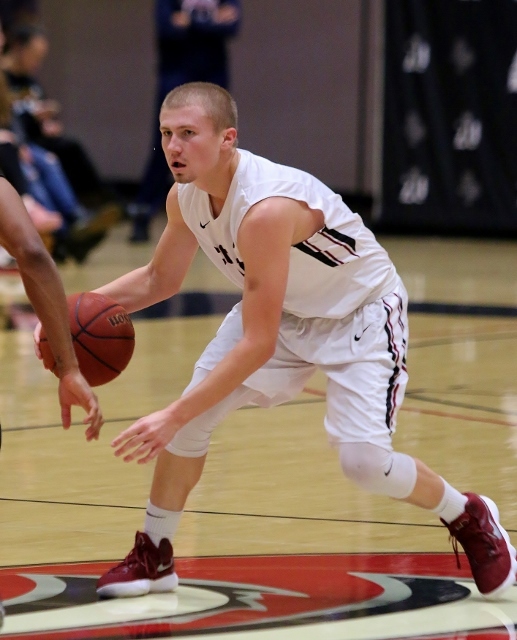 Azusa Pacific shot just 39 percent from the floor while Holy Names was at 29 percent. Holy Names also shot just 40 percent from the free throw line. APU shot 70 percent from the line. The Cougars controlled the glass outrebounding Holy Names 44-35. APU evened their record at 4-4 with the victory while Holy Names fell to 1-5.